The “polder city” of Almere, close to Amsterdam, has evolved as a low rise development along the lines of the English garden cities. Although the residential areas of Almere are attractive, the settlement lacks a real “heart” and the dearth of local amenities encourages people to commute to Amsterdam for entertainment. 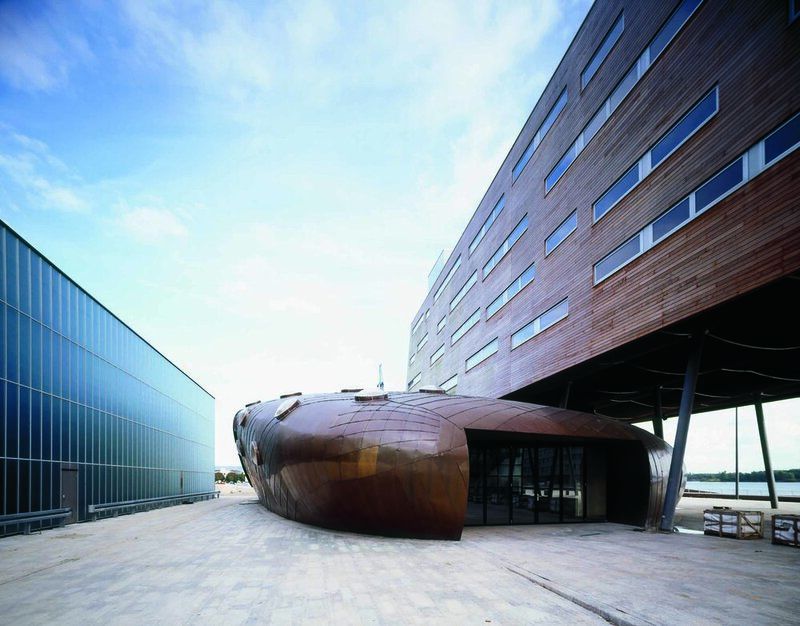 Almere has, however, something of a tradition of encouraging bold and innovative architecture and this has underpinned moves to transform the central area. In line with the development masterplan for Almere, which envisages a process of “intensification” for the city centre, Alsop designed a 16,000mÇ waterfront entertainment centre. Completed in 2003, the centre consists of a family of buildings grouped around a new square and elevated 4m on a unifying podium, which covers a parking area. Varied in form, the buildings use a variety of materials to create a rich new urban landscape. At the heart of the development is the Pop Zaal, its reinforced concrete structure clad in pre-weathered zinc and steel mesh. The four storey hotel, in contrast, is clad in cedar boarding, while the retail centre is metal clad. The square itself is a lively place, with cafes and restaurants, attractive in all seasons.